Edward Massey was born with a love of the West, and it grew. 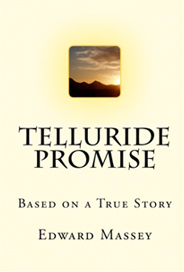 One day, his wife-to-be gave him a bound volume of blank pages and said “put up or shut up.” Since 2001, he has published a novel, Telluride Promise, five short stories, and now Every Soul Is Free. 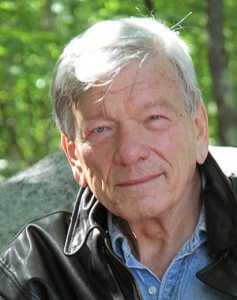 Amazon.com and Penguin Group USA named Telluride Promise a quarterfinalist of the 2010 Amazon Breakthrough Novel Awards, an international competition in search of the next popular novel. On September 13, 2014, the League of Utah Writers named Every Soul Is Free the Grand Prize winner for best novel published in 2014, awarding Edward the Gold Quill. With his third novel finished and at work on his fourth, Edward’s work explores the struggles people encounter in staying true to themselves and their ideals. He shines a light on the hard decisions made every day, the hardest of which is to keep going. He writes of the glory in facing reality, real stories about real working people for real reading people. He and Anne live in Connecticut where he writes every day. He’ll never move back West, but that is all right. He never left. His West propelled him toward a pursuit of freedom and independence. Raised inside a clear set of boundaries, he learned he could benefit from working as long and hard as energy allowed. He discovered that he observed those boundaries because they were in his blood, not because anyone was watching. He lived a career as an entrepreneur and started writing because he sees heroic acts in the work of ordinary people. 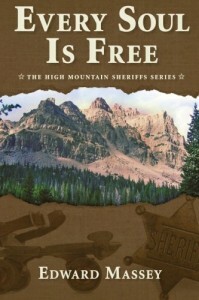 Edward has lived Sheriff Simms’s story from the Thanksgiving Day his grandfather died. Every Soul is Free reflects a lifetime belief that you are defined by what you do and how you do it. Edward wrote Telluride Promise seeing greatness in the ordinary act of working every day and the simple act of living up to one’s promise. He heard Buck Wain’s story forty years ago and even found himself living it. Would you give up everything to live up to your promise? Growing up in the mountains of Utah — a great-grandson of pioneers — formed him and gave him the willingness to take on the unknown. That led to participation in American Field Service’s first ever school program and a suggestion to apply to Yale that changed his life forever. In some distant day he may write that memoir. Today it is enough to say, Edward brings personal experience with every level of business and society to his writing. And his writing is supported by consulting and speaking that is based on all those experiences and the people they touch.